The most versatile pan you’ll ever own. The FINEX cast iron skillet is polished smooth for perfect eggs every time. It’s a searing machine for hearty steaks, chops and salmon. 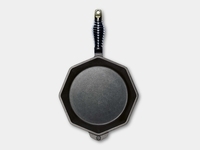 It’s brilliant for baking perfect cornbread, pies, cakes and muffins. Introduce a lid and it’s great for steaming, braising and simmering. 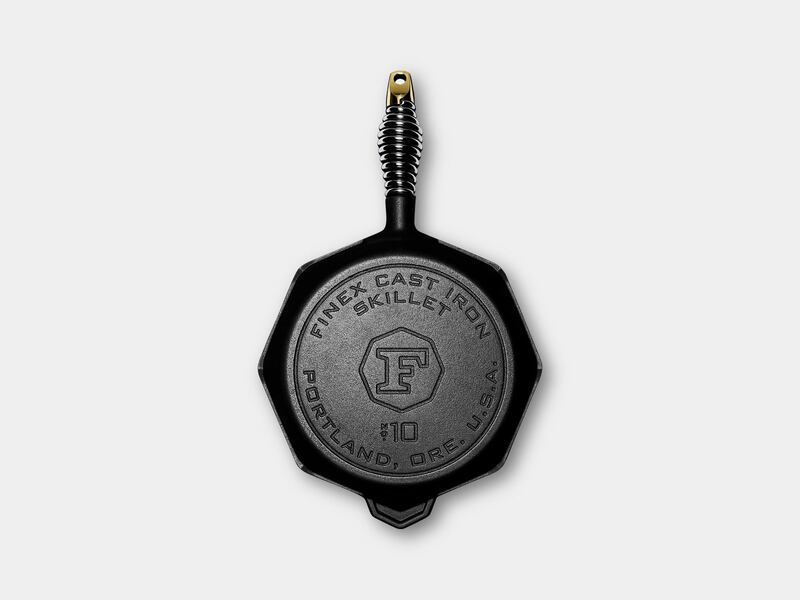 From stovetop, to oven, to grill—even over the coals—the FINEX cast iron skillet is a trusted essential you’ll pass down for generations. 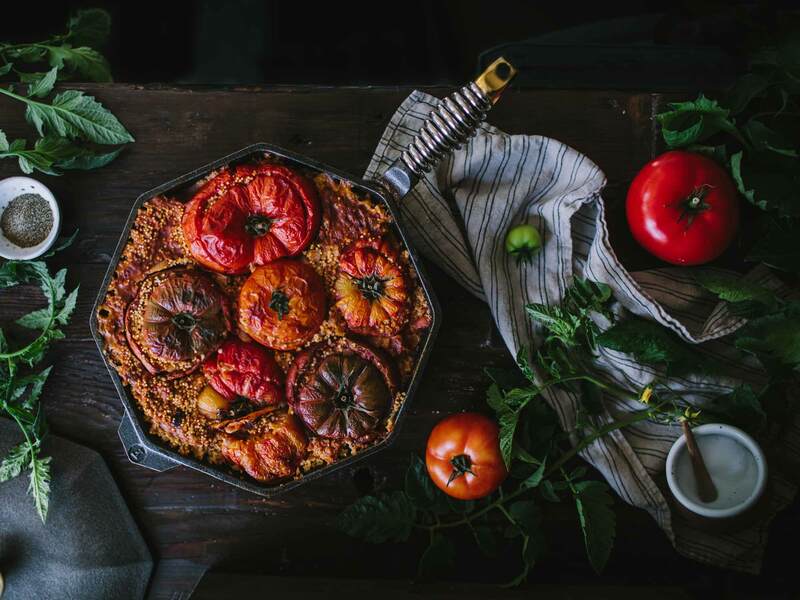 Size 17.2" x 10" 3.2"
As with all of our cookware, our skillet is made by hand from premium American cast iron, polished stainless steel and brass, and is carefully hand seasoned the old-fashioned way with natural organic flaxseed oil. Wash with hot water and use a stainless steel scrubber or chainmail to remove food material.